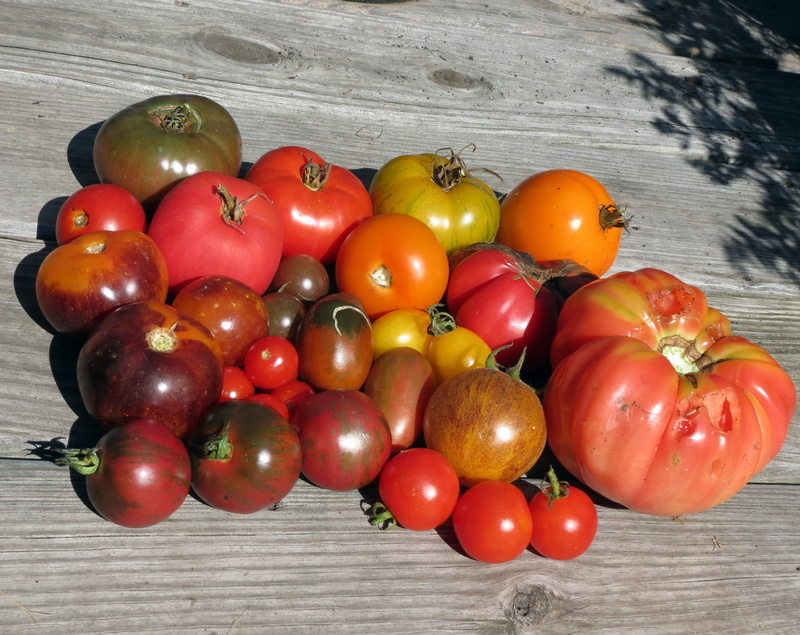 Monthly Avatar: September, Show Off Your Garden Harvest! 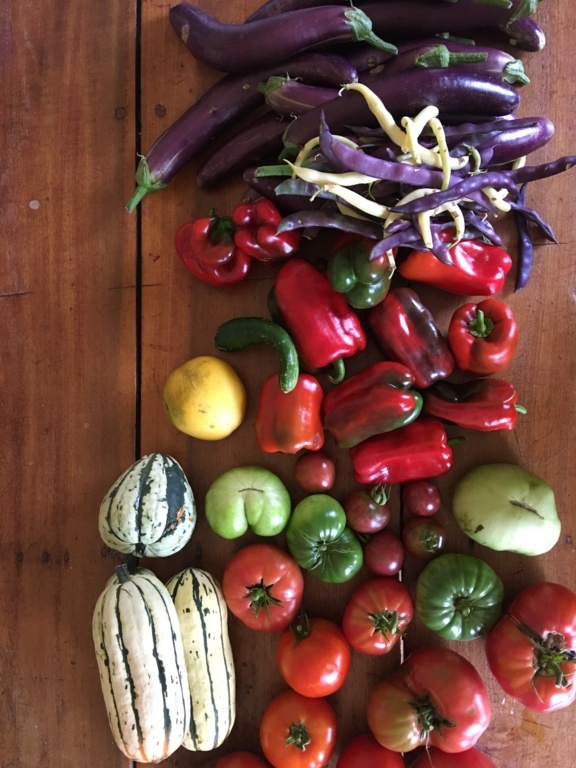 Re: Monthly Avatar: September, Show Off Your Garden Harvest! @sanderson wrote: My thought is to continue with the Harvest theme for October. In Nov we can have a winter garden theme? I was thinking maybe "Fall Colors" which could still include "Harvest". This is the one I want, but it isn't really either one. I don't even know what it's gonna be when it grows up. 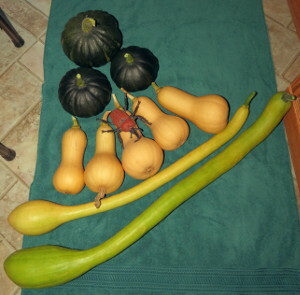 For October I'll switch to my winter squash. Tetsukabuto, Burpee's Butterbush, and Trombocino (thanks, CC!) ...and a plastic beetle. hm, I guess my sole tiny Delicata must still be in the garden. I didn't get any Hidatsa. 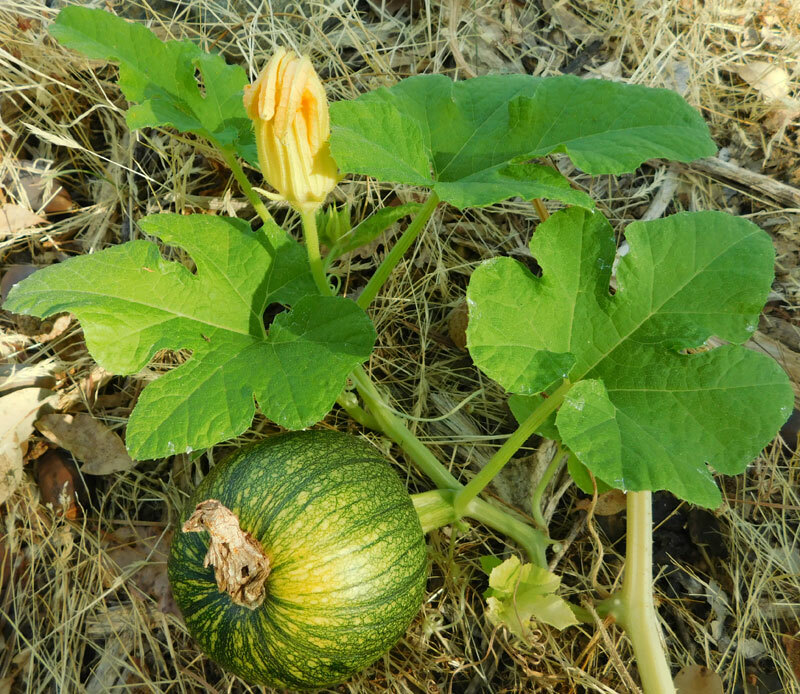 My main garden doesn't really get the sun needed for squash, and I have conditions that favor powdery mildew... but I keep trying to grow them anyhow. The butternuts were grown in an Earthtainer on my front porch, which gets more sun than the main garden, but the yield still could have been better. I planted the tomatoes in front of them, and the tomatoes got taller faster than the squash, shading them. OMIGOSH, Beetles -- that's what a tromboncino looks like? If I get one of those, my family will still be laughing at me when Christmas rolls around. They already think I'm crazy for all the goofy things I try to grow. @countrynaturals wrote: OMIGOSH, Beetles -- that's what a tromboncino looks like? If I get one of those, my family will still be laughing at me when Christmas rolls around. They already think I'm crazy for all the goofy things I try to grow. Yep. It was high enough up on the trellis that it grew mostly straight - otherwise they curl. It did 'hit bottom' and I couldn't figure out how to elevate it without damaging the vine. I was terrified the voles were going to get it before it matured. Frost happened instead. It looked like it had gotten some damage from the frost (I think/hope the others are ok....) so I roasted it up after taking the photograph. It tastes bit like butternut squash, and I bet it would be tastier if it had actually matured and cured. Maybe next year. Are we doing this one again this year? My Blauhilde Pole Bean harvest today. TD, I love how you spruced up the Scrolling messages. 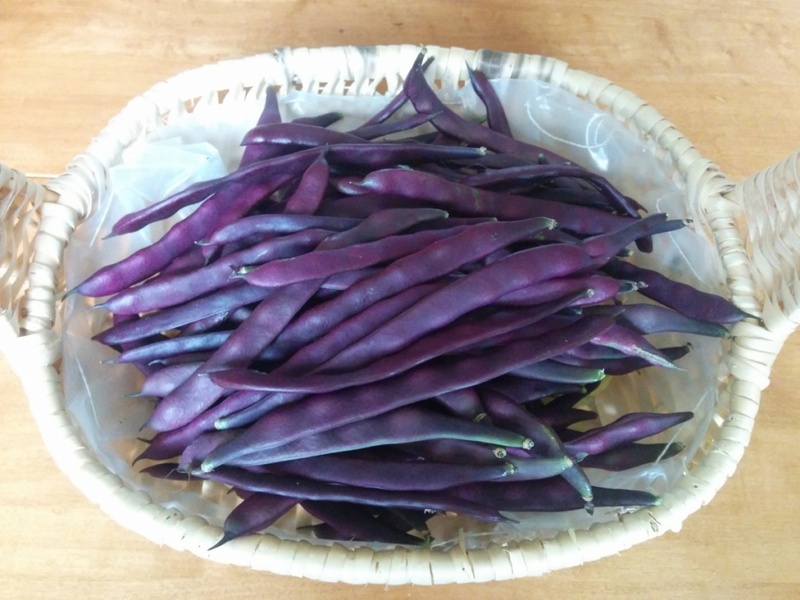 @trolleydriver wrote: My Blauhilde Pole Bean harvest today. Aren’t they the bomb? Love them! They are the gift that keeps on giving! Just got this today. Had to dispose of a lot due to me not being here...but anyway, here we are in September! Delicata x4, they are over. One melon, true charentois, 2 more out there, also done flowering. Few red and green maters, tons of Ping Tung eggplant, pole and bush beans, tons of peppers in stages of red, all sweet. Not pictured, lettuces! They are in the fridge. One cuke! Indian Dance.